I love cooking and pretty much 90% of the time you will find me cooking from scratch all our meals. However on occasion when the cupboards are bare the local chippy smell is too much to resist. When Phil popped to the shops to get them I decide to whizz up some homemade mushy peas. Now I have never tasted mushy peas before so this was a first for me. 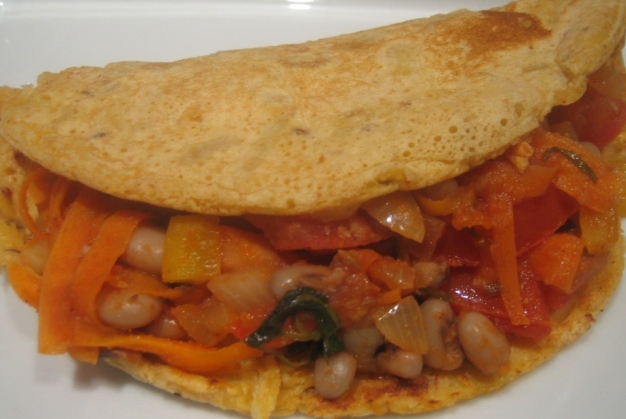 I checked out a few recipes and came up with my own Fussy Foodie version. 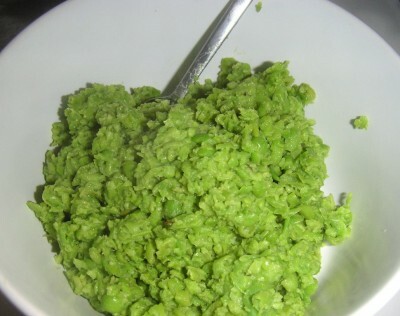 Homemade Mushy Peas ingredients: Just some frozen peas, lemon juice and dairy free spread. In a pan cook some frozen peas, enough for how many people you are serving (my favourites are petit pois, as they are slightly sweater). When ready drain the peas and add to a food processor, then season with salt, pepper, a squeeze of lemon and a good spoon of dairy free spread. Blitz the peas to a mush and taste for seasoning. If they need more liquid add some more lemon juice or dairy free spread and blitz again. You will need a bit of play to get the consistency and seasoning right. That’s it my homemade mushy peas done – I love them a real compliment to fish (no batter) and chips! I have to try this, mushy peas are my fave! I was very disappointed to open my chip shop pot the other day to find the peas were not mushy – just whole dry big fat peas. Not good for dipping chips in!! Oh wow, I made some and they were amazing! I did tweak the recipe a bit (can’t help it I’m afraid!) – I used olive oil instead of spread and added a little cider vinegar and mint to the mix. Frozen petits pois are certainly the way to go for fantastic mushy peas – I just microwaved them for 3-4 mins, drained them, and then did all the mixing and whizzing in the same pot.